Following the recent buzz surrounding the release of Despicable Me 2 and Monsters University this summer, animated movie lovers are rejoicing over the long-awaited announcement of a Finding Nemo sequel entitled Finding Dory. “I read the script and it’s fantastic; it’s hilarious, it’s warm, it’s everything that you want it to be,” said world-famous talk show host Ellen DeGeneres, the voice of the lovable, amnesic fish Dory. The new film is set to hit theaters in November of 2015, a significant 12 years after its beloved precursor. 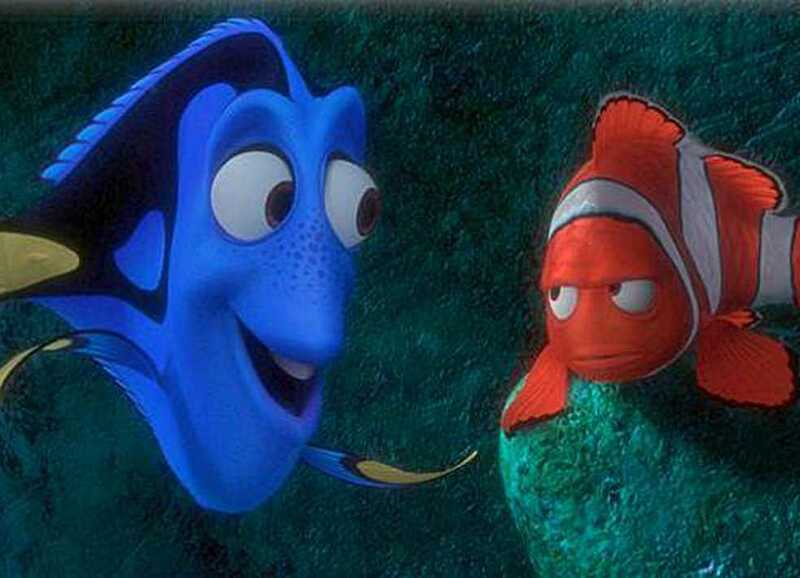 The plot plans to follow Dory’s attempts to reunite with her family off the coast of California, highlighting one of the key aspects that the sequel shares with its family-themed predecessor. With the same director and main cast, Finding Dory hopes to appeal to both older fans of the 2003 film, as well as current youngsters that typically form the fan base for animated Disney and Pixar films. The ideas behind the creation of Finding Dory reflect an interesting trend in Hollywood. Recently, filmmakers have succeeded in adding slight twists to well-received animated movies to provide unique renditions of childhood classics. In Despicable Me 2, set to be released in early July of this summer, bad-guy-turned-good-guy Gru (Steve Carell, Little Miss Sunshine) is recruited by the Anti-Villain League to help control a powerful new super-criminal. Monsters University, coming out June 21, flashes back in time to Mike and Sully’s college days and the origin of their friendship. Aside from the sequel business, other animated movies have regained popularity through other methods. Many have been re-released in IMAX and Disney Digital 3D, such as The Lion King and Beauty & The Beast. The Lion King re-release came recently in the fall of 2011, after a less-than-thrilling reception of Lion King 2 and Lion King 1 and 1/2. The Lion King sequels are two examples of Hollywood’s attempts that paled in comparison to the treasured originals. Following this idea, noting the negative response to Cars 2, the New York Times wrote, “The original Cars was not greeted with exceptional warmth…but the sequel generated Pixar’s first truly negative response.” Other notable failures judging from box office responses and fan reactions include Beauty & The Beast: Belle’s Magical World and Cinderella 2. However, some other sequels in recent years have gained much adornment and praise, sometimes even more than the original. The best example of this phenomenon comes with Toy Story 3, which follows the heart-wrenching tale of the boy Andy growing up and heading off to college. As many fans of the original Toy Story movie seemed to be at a similar predicament at the time of the three-quel’s release, the new storyline became an instant tear-jerking favorite. So what decides whether a movie sequel will be successful or not? According to a study at TCU, four key factors have been determined to be crucial: parent brand awareness (whether the public is aware of the original movie), distribution intensity (the number of theater screens expected to show the film for opening weekend), parent brand image (if the first movie was widely considered good or not) and star continuity (whether the movie sequel has the same star as the first film). Only time will tell whether Despicable Me 2, Monsters University and Finding Dory will follow the path of Cars or the path of Toy Story. Judging from social media buzz so far, the future for animated sequels looks promising.